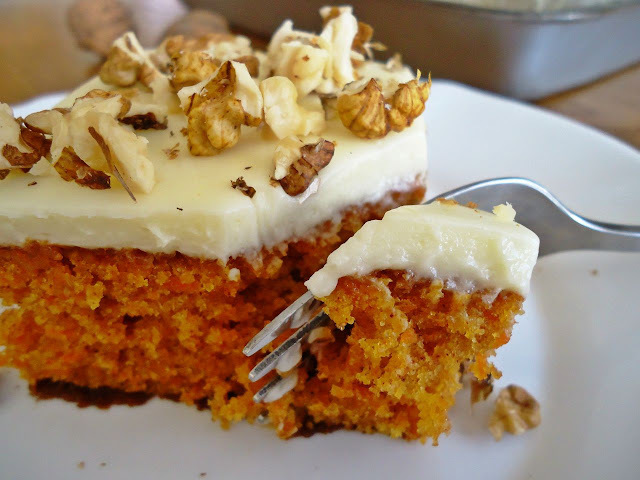 Actually, the main reason that made me to make this carrot cake was its publishing in my favorite magazine, Emma. I changed a recipe a little bit, and it turned out to be one of my most favorite cakes ever. Well, it happens almost every time I eat something sweet, but in this case, it's really serious!! !